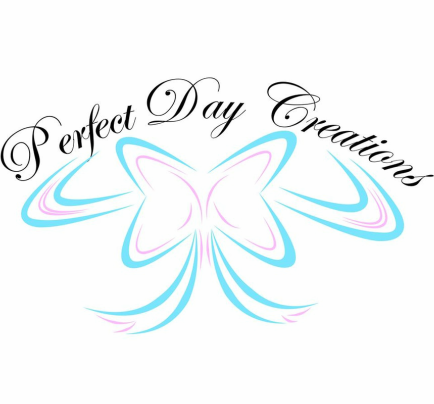 Perfect Day Creations, is a small family run company, created and managed by mother and daughter team, Shirley and Melissa. We are based in Carlton Colville, Suffolk and supply the local area with many venue styling options including, Chair Covers, Centrepieces, Post Boxes, Swags and much more. Perfect Day Creations offer a professional service but also like to offer that extra personal touch. For this reason we offer a free no-obligation face to face consultation (in the local area) if you would like to arrange a meeting, please contact us. Melissa has had a keen interest in the industry from when she was a child, spending time in her mothers florist shop, so on leaving school decided to use her own talents to create handmade stationery, from this the business expanded and became "Perfect Day Creations." Shirley has worked in the wedding industry for a number of years, previously running her own florists, wedding planning and catering business, so has many years of experience.